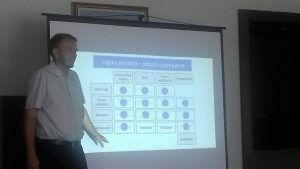 As a part of activities of the project “LocalInterAct Network”, the fifth of the planned ten workshops on “PCM – Project Cycle Management” was held in Prnjavor. 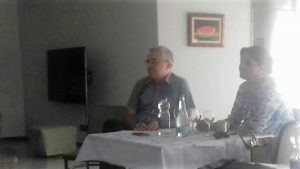 The workshop was attended by representatives of municipalities of Laktaši, Derventa and Prnjavor. After presentation of implemented activities on preparation of the project proposal, participants had continued to work on completing the Logical Framework with necessary data. Participants of the workshop got familiar with the structure of the project form, the budget form, the way of defining of key project expenditures. After that, they elaborated one project activity in detail and defined its budget. The next steps in process of training of municipal teams for preparation of development projects were agreed, while the next workshop will be held at the end of August.